Check out Christoph Fischer’s review of Victoria Dougherty’s collection of short stories. 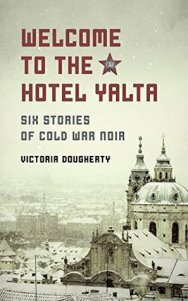 I am a big fan of Victoria Dougherty and her Cold Noir Writing. Having met her in person in Prague, the city with a Cold War history, and scene of her amazing book “The Bone Church” , definitely has helped to bring this new book to the top of my tbr pile.